After two years of testing, Google has finally launched Voice Access, an Android app that offers hands-free support. Starting today, Voice Access is available globally with support for English commands, but additional language support will be available in the future. 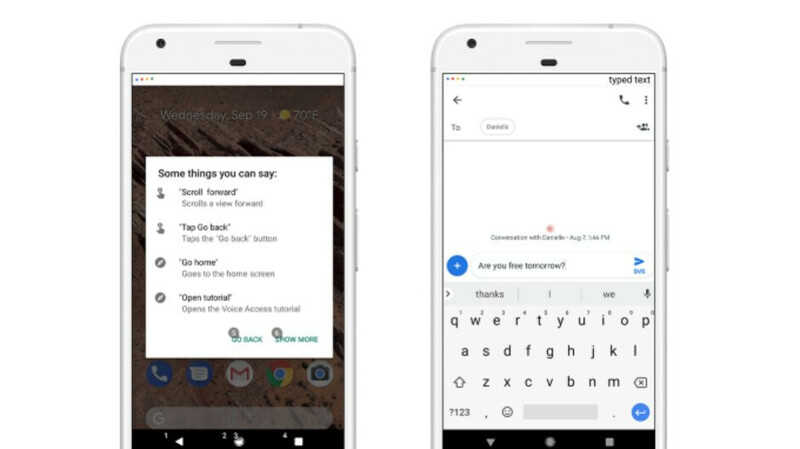 With Voice Access, Android users will be able to navigate through apps, compose and edit text without using their hands, as well as talk to the Google Assistant. The app is supposed to offer “more fine-grained controls than other voice commands you might use on your phone,” which makes it kind of unique. The most important feature of the app is the option to tap buttons and controls within apps, or scroll and navigate app screens by simply using your voice. That makes Voice Access extremely useful to individuals with Parkinson's disease, multiple sclerosis, arthritis, spinal cord injury, as well as people who don't have a disability but have their hands full for whatever reason. Google's Voice Access allows Android users to take advantage of many other commands, which are available on the app's support page, so make sure to check that out. Wasn't as easy to use as Bixby but has some practicality. Had to uninstall it though as it would lock up my phone dialer where I couldn't answer calls by hitting the pick up button. Just tried it on my OP6. Works like a charm. I used the beta for quite a while and that worked pretty good. Glad to see it's finally out of testing.